Without a doubt, the Veldpond is one of the most beautiful coins minted in our country, if not the world. 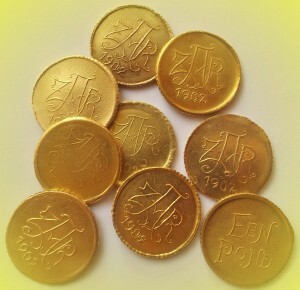 Towards the end of the Anglo Boer War, the Boers experienced a critical shortage of money with which to buy provisions for the Commandos 986 Veldponde struck by hand at the Transvaal Gold Mining Estates dormant workshop at Pilgrim’s Rest, using improvised equipment, including a wing-nut press. The issue was produced on the recommendation of General Christian Muller, the assistant-commandant-general, and authorised by Schalk Burger, acting president of the Republic after Paul Kruger left the country on 19 October 1900. 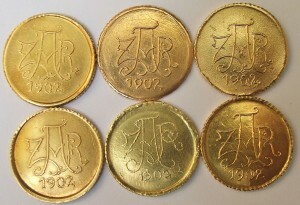 The dies were executed by the acting mint master, P.J. Kloppers, former head teacher at the De Kaap Government School. Only 146 Veldpond have been graded by NGC, 19 by SANGS and 12 by PCGS. 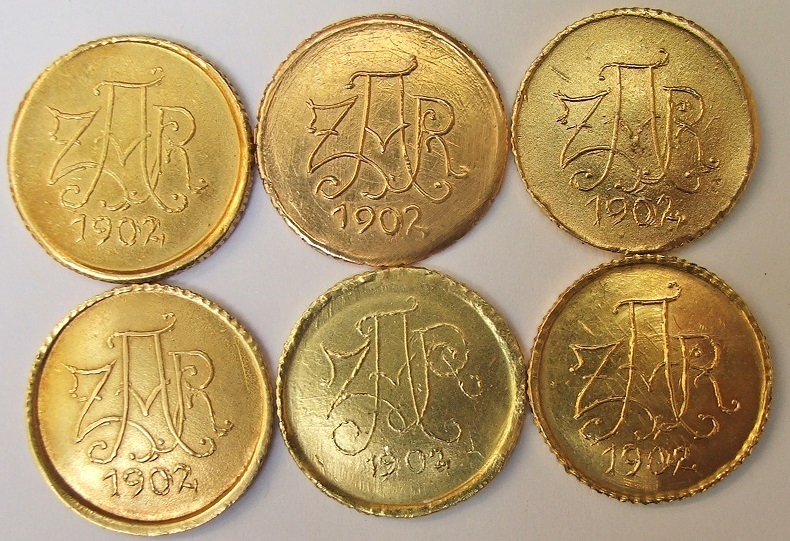 After the war, the ZAR government were so impressed with the activities of the ZAR Field Mint that they gave an order on 5 May 1902 that everyone involved with the Veldpond was to be given an award. 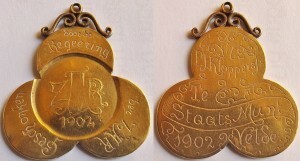 Three days later on 8 May 1902, awards were issued to General Muller, Field Cornet Pienaar, Kloppers, Minnaar, Reid, Graham, Cooney, Marshall and Barter. 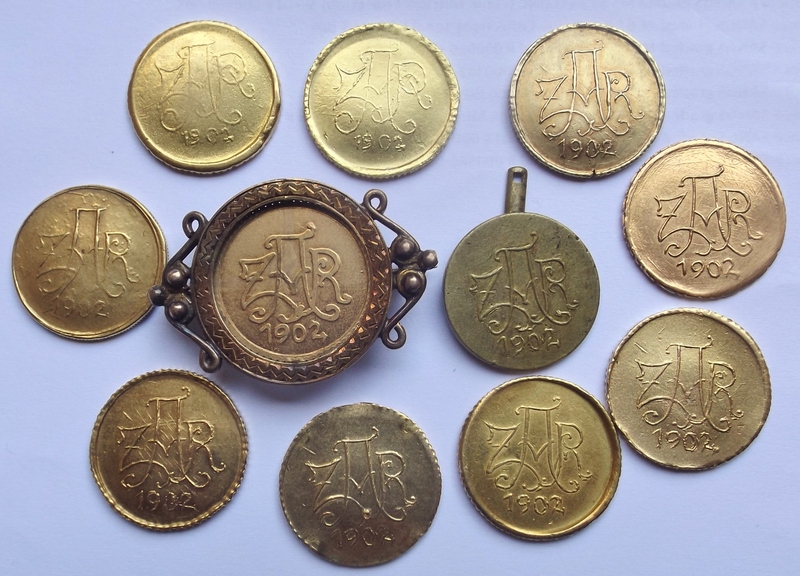 In total nine of these medals were awarded.The clover shaped medal was cut out of a gold plate with a jeweller’s saw. The ZAR Veldpond mark was struck in the middle on the obverse side. On the reverse side, the recipient’s name and the words Staats Munt te Velde 1902 were engraved. 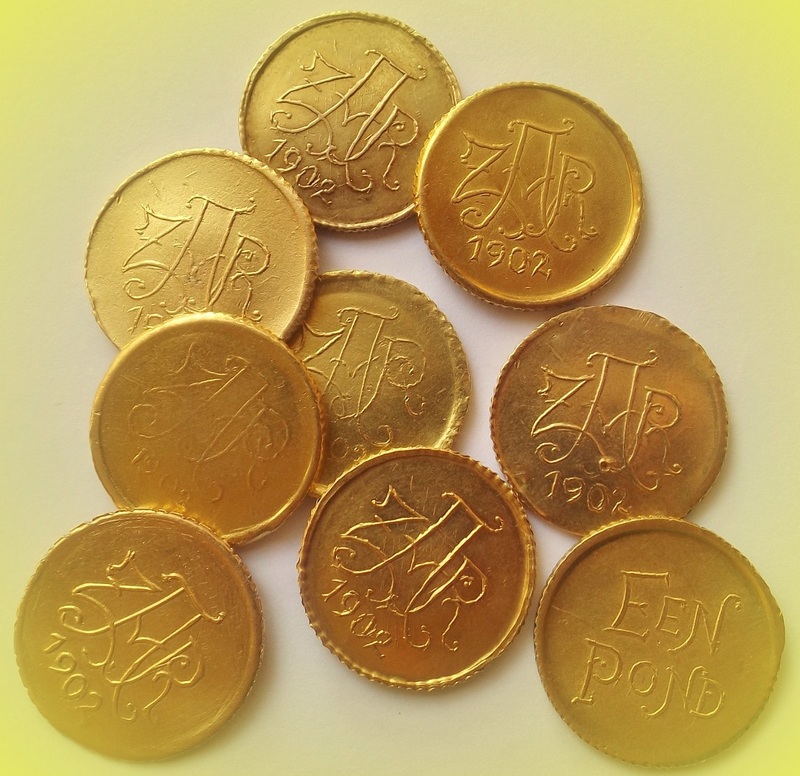 There are many forgeries of this popular coin. Some forgeries were made as early as 1903. The photo below shows six different types of forgeries.